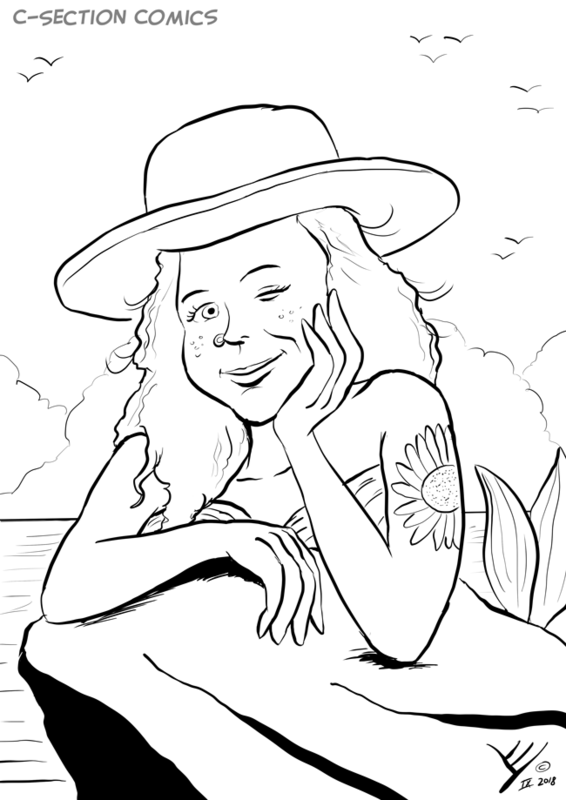 A cartoon-style caricature of a mermaid, freckled, with a hat, leaning on a rock. Sea and clouds in the background. I drew it as part of the Reddit Gets Drawn subreddit. Based on a photo of an actual redditor. The original post on reddit can be found here. A hi-res version of the caricature can be found here.